Our Trip to Santa's Magical Kingdom and Win a Family Pass to Go! 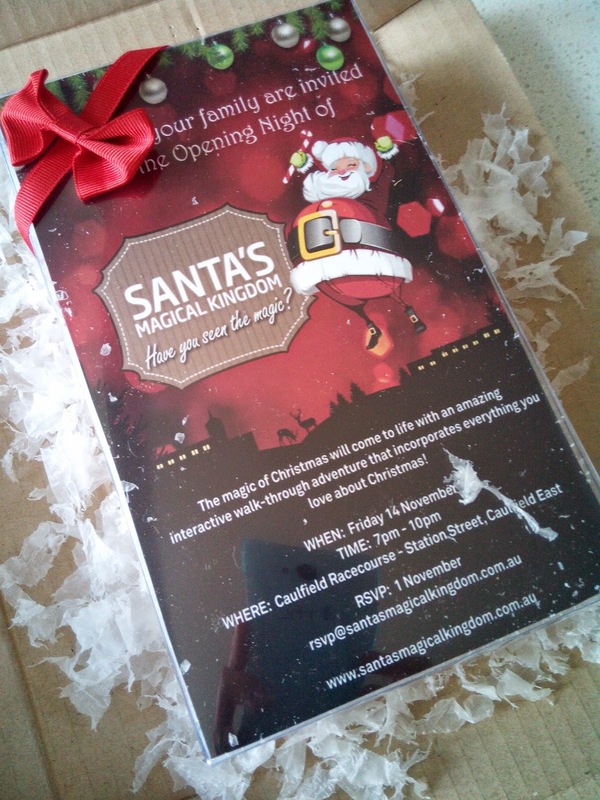 Last night we were so fortunate to be invited to the opening night of Santa's Magical Kingdom here in Melbourne. We have been literally counting down the days (and been doing a bit of Santa bribing 'if you don't stop annoying Mummy you won't go see Santa etc!!) until we could go. 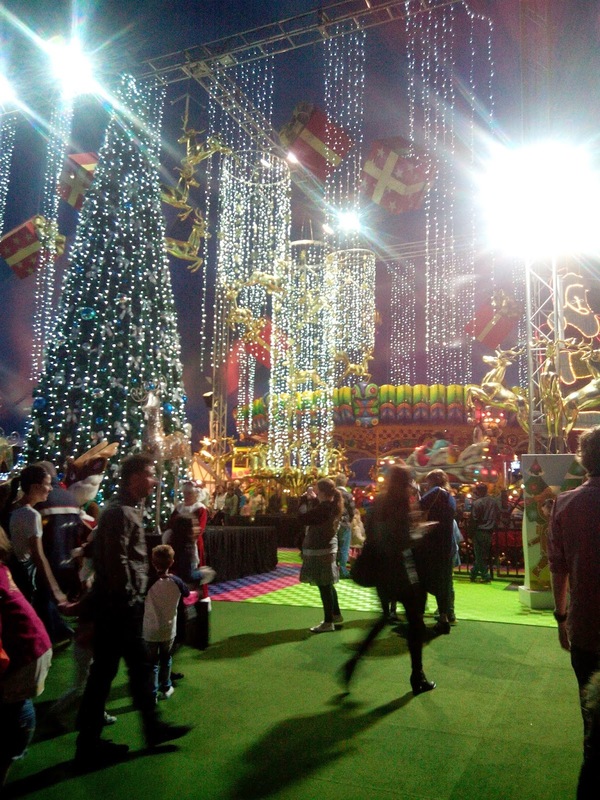 This year Santa's Magical Kingdom is located at the Caulfield Racecourse which is a fantastic venue, easily accessible by the freeway and the train line. Living a wee way out of the city, we tend to give activities in the heart of the City a miss, so this was just perfect for us. It is so hard to capture how amazing this is when you walk in (and just wait until you see your little ones face light up), it truly will take your breath away with so many beautiful lights, decorations and Christmas characters to greet you at the door. With so many activities to see and do - it was hard to know where to start! Next stop were the rides - so many to choose from and these were all included in the ticket price. There was a giant slide (we had to do this so many times, great exercise though! 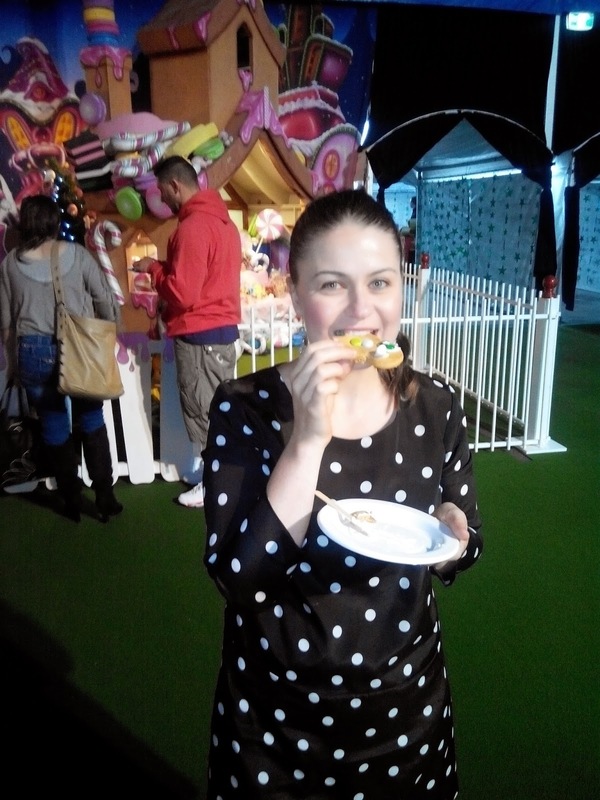 ), a Ferris Wheel, Merry Go Round, Jet Planes, Dinosaur Ride and a Magical Train that we all ventured on. There were another few rides, but Mr B was just a bit small for these just yet. You get to go on these as many times as you like, which is fantastic value! Although we tried to tell Mr B that there was a limit of two turns on each ride, otherwise we would have literally been riding these ALL night! After a few rides (a few times), we headed in to the Circus tent. Included in the admission ticket is a 30 minute Circus spectacular (just the perfect length to keep kids amused for!). 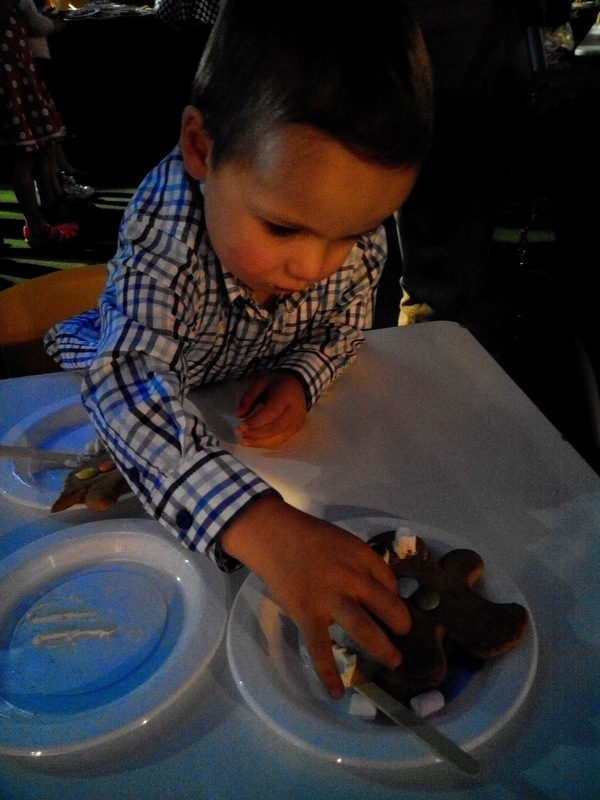 The show featured Santa and a whole host of magical tricks, displays and illusions. After the Circus Show we headed back for more rides and a walk through Snowland, the Lego Brick Zone and met a few Christmas characters along the way! If Mr B (and Miss C) are anything to go by, your little ones are going to LOVE this as a special Christmas treat they won't forget. Tickets are priced at $39.50 for adults, $35.00 for kids aged 2-12, teenagers and seniors. There are also family tickets available for $130.00 (2 adults and 2 kids). Definitely worth every penny as you get so many amazing inclusions with your admission ticket. Good luck everyone and thanks again for having us Santa's Magical Kingdom - we had a ball and will be back again in 2015 for sure! Fingers crossed Natalie for you!! How are things coming along over in your part of the woods with all of your reno work?